This is a post dedicated to teaching you how you can Change Gmail password with ease. Doesn’t matter if you are using an Android, IOS or Windows device, the steps in this article are guaranteed to help you change Gmail password. Hey there, I bring you greetings from all the chefs at tech-recipes. So, you landed on this post. There are reasons why you landed here. You want to change Gmail password. You want to make your password stronger. Whichever category you belong to, it doesn’t really matter. 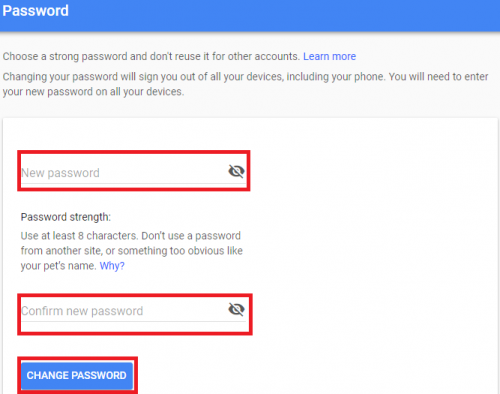 This post will actually cover how to change Gmail password and what you can do to make your password strong. Now, if you have been finding it difficult to change Gmail password, know that you are not alone. I have had a lot of friends who had a hard time figuring out the right steps and solution to this particular issue of changing Gmail password. The good news is, at the end of this article, you will have learned how to change Gmail password with so much ease. We all know how important it is to secure our Gmail account and regularly update our passwords for security purposes. Gmail is a free supported service developed by Google for users to access on the web, through Android, IOS, and other operating systems. Gmail is a very popular platform with over 1.2 billion users, at recent records. This means that about 54% of the entire population of the planet is currently using Gmail. Which puts it at risk to hacking. There’s just so much vital information that is being transferred via Gmail. 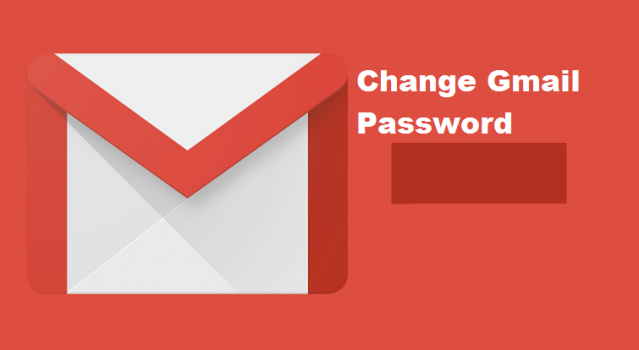 Before I proceed in showing you how to change your Gmail password, I want to key you in on a few tips that you should consider before changing your password. Most folks are fond of using simple passwords that are amazingly easy to guess by someone else. It is very necessary to ensure that your password is secured and strong enough so that it won’t get hacked. 1. When Creating a new password for your Gmail account, that password must contain at least 8 characters or more to make it stronger. 2. Before you finally hit that change password button and your changes are stored, not that your password should contain numbers, symbols, and other characters. This will make it difficult for hackers to hack your Gmail password. Example of a scary password is: (<%#example$). 3. Use a unique password for each of your online services. Don’t ever use the same password for your Gmail on Yahoo, Bing and other platforms. Using the same password for more than one service can be very risky because if someone gains access to just one of the service, they will definitely have access to all others including your Gmail account. Note: Creating a strong password should not be a problem to you later on. Use a password that you can always remember. so as to not get locked out from your own account. There are so many online services that you can use to help you in remembering your username and password and automatically secure your files. Some of this services include 1Password, LastPass, and a few others. Okay guys, let’s move on to the main point of today. I am sorry for taking your time but I guess that was important to know. 2. Tap on the gear like icon located at the top right. 4. On the next page, you will see ”Account and import” tap on it. 5. After entering correct login details, click on sign in. 6. Input your new password and click on ”change password”. And there you have it, that wraps up this article on how to change Gmail password. You should have 0% challenges after reading this article. Like I earlier said, your Gmail password can be changed from your Android or IOS device or using your browser on your PC. Take this as a personal advice from me to you. To ensure that your Gmail account is secured. I suggest you set a plan for yourself and change your Gmail password at least every month, or if that will be too much for you, you can change your password every 2 months. Well, it boosts up your security level and makes your Gmail or Google account harder to hack. Q: How often can I change my Gmail password? A: As often as you want to, there’s no limitation. If you want to change it 80 times a day? Feel free. Q: I changed my Gmail Account but I can’t sign in, why? A: If for some weird reason this happens, then the cause is from you. You have probably entered a wrong password or have forgotten the password you recently used. The solution here will be to recover your Gmail account/reset Gmail password.